I was also invited to make a speech about my own experience as a filmmaker. I decided to write also about my own concept of cine-cosmopolitanism and its relation to my own cinema. I joined the cinema school thirty years ago and I started making films right then. My heroes were silent film “auteurs” like Kuleshov, Eisenstein, Vertov, Murnau, Fritz Lang and also some B Movie directors like Jacques Tourneur… Basically, what I most wanted was to follow a certain tradition, alternative but within the scope of B-movies trough the lenses of futurism and expressionism. I finished my studies completely motivated towards towards editing as the main engine and the specific language of cinema, that which sets it apart from other arts, and from my love for eccentriccionism, which we can often find in soviet cinema (Kuleshov and Aleksandr Medvedkin for instance). But it also came from some of Hollywood’s productions, particularly film noir. A conflict was born. What happened? 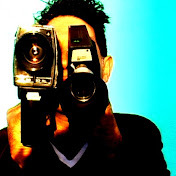 Since I couldn’t wait to follow a “career”, instead of starting as an assistant director and so on, I started as a screenwriter and, as soon as I finished my studies, I started to shoot in video on a daily basis, mostly with pop-rock bands. But as video wasn’t considered to be acinem medium, I considered that they were home movies only for private consumption. Then I did my first short-films shot in 16mm, absurdist musical fictions. In the end, I saw the result (of that hard work) and I thought of giving up on cinema because I hated what I had just done. And why? Because I had followed the “industrial” rules on how to make a movie, as taught in cinema school, and I had tried to emulate the narrative codes of Hollywood, to tell a linear story, what has become a narrative product and which may or may not be art – but is still, nonetheless, that linear narrative product. It’s evident that, if we want to compete with that kind of fiction… we don’t have the means and we must try to be somehow creative and to develop our own language. What prevented me from giving up was looking at the location shots, at what I had filmed in video before I shot the short-films. That which I had made on my own, with my own hands, I found it one thousand times better than what had been the fruit of a more rigorous and demanding work of lighting, etc… And that’s what kept me from giving up. I understood that I had to use a direct means of communication, through which I could express my ideas without an intermediary. And when I started using a handheld camera I found out an even more personal way of communicating. And how does this idea of Cine-Cosmopolitanism comes about? What happened during the silent movies’ era? One just changed the intertitles and all the films from all the countries could communicate with each other. There was still no Babel. There was still no sound setting people apart. Films, then, had a cosmopolitan character. And that was lost. I started my search for cosmopolitanism by creating almost-silent films; films, with, at least, many sequences without synchronized sound, the only sound being the sound of when people have something to say, especially monologues, be them fictive or ideas or opinions. And so I found my own language. The first film I did working with this principles was A Cidade de Cassiano/The City of Cassiano. In many of my films, the surface of the screen becomes the protagonist. In them, the bi-dimensional nature of the cinematographic image is completely assumed. The characters challenge the audience and we return to what I would like to call, instead of ‘primitive cinema’, the “pioneer cinema”, while some researchers (like Tom Gunning) call the “cinema of attractions”. This is a cinema marked by a direct glance at the camera, eccenticionistic acting “discrediting” of characters, a certain acrobatic style. It’s that idea that cinema is right then and there discovering itself and introducing itself to the audience – and that’s the reason why some people call it exhibitionist cinema, unlike Hitchcock’s cinema, which is utterly voyeuristic. No one in the movie is watching us, right? We don’t want to be seen by the killer in “Psycho”. We don’t want to be unmasked as spectators. I am interested in what Fellini referred to as “sometimes the Devil has to show its tail” – I mean, the author must show what the film is made of, its material. To work things, to check their resistance, to find out the place and the meaning of each shot within the film, within that planned chaos, that free-falling domino. An example of cine-cosmopolitan chaos was a film I shot in Lisbon: Manual de Evasão LX94/Manual of Evasion LX94, with Terence Mckenna, Rudy Rucker and Robert Anton Wilson. I invited 3 counter-culture thinkers to do a film for Lisbon European Capital of Culture 1994 and the result was a very controversial film about Time. All that time was essential to create a totally controlled chaos which was fundamental to create the illusion that the choice of the thousands of shots was happening in that very moment of the projection and that the actions of each character are being interlinked almost by coincidence. Because cine-destiny,kino- fate, willed it so. Unlike what it may look like, it’s much more complex to make all those colors and movements inside each shot, the emotional meaning of some of those shots, flow towards the same destination. “Perpetual Movements” it’s another example, in a more emotional way. It seems like the film is involuntary stumbling, but it’s a planned choreography of spontaneity. It’s necessary to transcend and to look at the filmed material as a phenomenon, as something that can be transformed, and not just as a ‘story’. That’s why I have to talk to you first about trans-realism. According to Rudy Rucker, trans-realism implies to look at the close reality in a fantastic way. I have applied the concept of trans-realism to my films; I want to transcend realism. It’s not a question of letting the unconscious flow but rather of creating new forms to represent reality. I am interested in that ultra-romantic utopia which is to reinvent and to be original; that idea of the movie having been made a long time ago but speaking about the current times. Retro-futurism. I find very important the idea of constantly recreating the ages within us and of our need for some contextualization in order to create ourselves. Even if it’s just thinking that we are from the Bica neighborhood, in Lisbon, and that, from that microcosm, we will create the entire context not only of the film itself and of its narrative but also of those who are making the film. The best way to go about it is to do everything: to shoot, to edit, to write – everything. It’s the only way of getting to know all the areas and of being able to direct a team, later on. I still have that romantic illusion, maybe ultra-romantic, of being original. What brings that illusion about? I don’t like to use the word “experimentalism”, I really don’t like it at all, and I prefer the word “research”. What I do has its own results with hypothesis at their onset. It may have something of experiential but not of experimental. I frequently film in the breaks between the shooting. Cinema between frontiers. Cinema of the Interval. Those moments of wait to shoot are “real scenes” which constitute the portion in brackets of the Registered or Staged Reality. Cine-Interruptions. More than documentaries, these are documents of the border area between fiction and reality. They are an alternative to a totalitarian and Manichean (di)vision, they are interruptions of the consensual reality. They build autonomous and complementary films; meta-films? films about cinema and about the eccentric reality – which circulates in the outskirts of the shootings. My interest in the cosmopolitan pioneer cinema lies in its space of freedom and diversity. The way I see it Cosmopolitanism is not a “third way”, it’s rather a different multiple space. It’s a space “between” and it’s a space “beyond” the conventions and dichotomies. Cine-cosmopolitanism is a search for diversity and for a multiple identity. The elasticity of borders is fundamental so that a trans-ethnic (trans-genre) community may evolve. Therefore: we must expand borders, intersect them – between Hollywood and the author’s cinema there are countless nuances, each one representing an alternative to that dichotomy. The cine-cosmopolitan tries to come upon the spectator – any (global) spectator (or at least an urban western spectator, to start with). The objective is not to discriminate and not to search for just “his own” spectators, those already converted to other ways of making and watching films. The cine-cosmopolitan doesn’t relinquish his identity but he is aware that he doesn’t live alone. He’s “married” to the society that receives him and that means that he is married to the multiplex cinema rooms, for instance. The global spectator who is used to consume Hollywood cinema – a culturally formatted community – has difficulties in accepting the cine-other, the radically different cinema from that which he is used to watch. So, to be accepted by this cine-community, the film must, in some way, establish a communicating bridge with the global spectator. Cine-cosmopolitanism is ready to put on the spectator’s glasses, to put itself in the Other’s place and to put the Other in its own place. In its multiple manifestations, Cine-cosmopolitanism is more than just another (c)”ism”: it is a range of lenses. Different pairs of glasses which allow us to observe, interpret and interact with reality. That communicational effort towards the spectator forces the cine-cosmopolitan to approach the film without cine-ethnic prejudices. A contract is made between the author and the audience, where which each one makes a solidarity effort towards the other. A relationship of equality develops between both. As Robert Anton Wilson said, “freedom can only exist between equals” – and I would say that “real communication can only exist between equals”, or communication needs equality. However, there are still countless prejudices against “interracial marriages”, I mean: between genres and, especially, between Hollywood and author’s cinema. To divide films by genre always results in discrimination. In the world of cinema, we are witnessing a war between cine-chapels: “Audiovisionists”, “Cine-fundamentalists”, “Slow Cinema” etc…. But two points of view battle each other on the judgment about the value of a film or of an author: 1. the box office 2. the reviews/awards in the Festival circuit. The triumph of the audience, on the one hand, and the triumph of the jury, on the other. Cine-cosmopolitanism lives under the cross-fire of these two movements – and again, over-identification only brings about exclusion. And the occlusion of other ways of thinking. An example of the discrimination carried on by the corporatist cine-fundamentalism: video. For a long time, video was denigrated by authors, juries, critics, festivals, fundamentalist, blocking the entrance of the cine-rabble into the kingdom of cinema. The access of the video-hoi polloi to that world was denied by the theses of cine-purity… video was deemed as an impure material. The option is not between a Sober Cinema, made for the Elite (critics, jurors in Festivals, etc. ), and an “Adulterated” Cinema made for the People (box office dictatorship). The Crossbreed Cosmopolitan Cinema live sunder the cross-fire of these two movements. And Pleasure, in its multiple manifestations, is generally the “Great Repressed” of erudite cinema. By establishing rules for the others to obey, we are conditioning the right to diversity – and we live still under the dictatorship of ‘sobriety’. No to standardization and no to cine-eugenics! Down with cine-puritanism! No to the discrimination between genres! The borders between cinema genres are growing less clear and, as it happens with ethnicities, we find more and more miscegenation. For cinema itself, the more it crossbreeds, the better are its chances of surviving. In my case, I have always been discriminated for not joining any of the two movements. Neither mainstream nor poetic realism. There’s not much space left for those who want to transcend this dichotomy. For instance, there is a diluted conspiracy, both visible and invisible, in the granting of subsidies for feature films in Portugal. In that process, censorship is paramount and the filtering is tight. It’s a terrible attitude which favors a “multiculturalist” identity instead of multiple identities. When you try to identify one country with a definite way of making cinema, you strangle the diversity within that same country. That’s my starting point. I always try to crossbreed, in some way, and to create a new identity. What I have to say has to be said in my own way – while at the same time the editing has to allow for a certain rhythm which allows for the audience never to feel out of bounds. This is the combination that works, I think, in many different types of movies. The Baron was the first film I did with a decent (low)budget and is probably my first real attempt to come closer to Hollywood (B movies), and to the formatted global spectator. It’s my attempt to do a cine-cosmopolitan movie. My work has a communicational objective. I am not against narrative. I just contend that there are many ways to approach narrative and those ways become formulas and in the end they become dogmas. There are not that many films which break with those rules. We can go into Hollywood and find some films that do break those rules. “The Baron” follows more closely the Hollywood B-movie tradition but with a contemporary soundtrack, playing with the theatrical plasticity and the tradition of the horror movies of the 40’s. Films are overdubbed into other languages. To speak English is not enough – it’s necessary to create films which start from archetypes recognized by the global audience. We try to define a cine-cosmopolitan film not by inclusion/exclusion but rather by approximation. As an alternative to a certain rigidity in the multicultural pluralism of difference, these fragile and plural concepts of cosmopolitanism appear. More important than to establish opaque islands of identity is to establish a transparent network of solidarity – between the author and the spectator. The conceptual confusion between identity and equality shows that many disagreements between cosmopolitanism and multiculturalism are just different gradations in similar glasses. A cine-cosmopolitan will try to serve the Other, the Unknown Spectator, from another time and another place, and the Spectator-Mirror in which he recognizes himself. With solidarity and authenticity, his own identity is put in the service of the Other. The cosmopolitan ideal questions the notion of a fixed identity. To the concept of “belonging”, which excludes by inclusion, the cosmopolitans interpose the concept of solidarity. How, then, can we make a film both erudite and popular? Cosmopolitan and deeply rooted? Cine-cosmopolitanism doesn’t propose any universal formulas for the cinema. A cosmopolitan author or spectator will have to be able to engender solutions which respect the dynamic tension between identity and solidarity. These will be films with cine-life. They will be filled with that dynamic tension between the identity of the film and the community of the audience – with specific solutions, according to the environment where they will interact. A cine-cosmopolitan film is a form of mental immigration. It identifies itself with the Other without relinquishing the traces of its cine-identity. The art of working with low-budget films will consist in discovering the adequate rules for the cine-territory of each author. For instance: it won’t be necessary to opt between the spectacular (and spectral) rhythm of life/editing “soviet-MTV” and between the “authenticity” of a European or Third World long sequence plan. Between singular ideas and servile ideas (servile to mercantile or cine-chauvinistic causes), there is another range of options. The motivation of a cine-cosmopolitan will not be the box office, and it will have to find out of the box (office) solutions. How to reach the global spectator is the big question for cine-cosmopolitanism. I am myself a global spectator. Still I have my own identity; my films are not made under the persuasion that I will conquer the Hollywood Empire, not by selling out. My films know that there is an audience, starting with a Portuguese audience, since it is firstly for that Portuguese-speaking audience that I make my films and secondly for the other audiences. It’s family-like: we start with the inner-circle and the network of relatives extends until we get here, to South Korea. Let’s see how this audience will react to my work. Cine-multiculturalism is not “the only way”. The cinema made in countries such as Portugal is a part of the great Other, of that Hidden Face of Mainstream Cinema. How can we light up that ‘dark side’ while simultaneously interacting voluntarily with the “dominating system”? Isn’t there an Other type of cinema capable of capturing the attention of “non erudite” audiences? The Crossbreeding Cosmopolitan Cinema (Mutt Movies) includes different forms of pleasure, usually associated with showbiz, subjected to diverse ideas and ideals. It isn’t a Movement, nor is it a generalist way of making movies. It isn’t a third way. It’s “elementaristic”: Cosmopolitan Cinema with a set of particularistic solutions. It doesn’t discriminate between genres or formats. It doesn’t claim to own the truth of the facts not even their “authenticity”. It assumes itself as an interpretation and re-invention of reality, staying clear of misconceptions and fundamentalisms in the name of the truth. It grounds itself upon that singularity in order to reflect on the multiple meanings of reality. Without alienating the Other, it aims to provide “pleasure in knowledge” to the Spectator. There is no “magic formula”. The cosmopolitan glasses have fragile lenses and they don’t reveal the “correct” reality tunnel. With this “kine-manifesto”, the aim is not to generalize. These are convictions, probably temporary, and utterly personal. In such a paradoxical world, it’s getting harder and harAsder to have any kind of certainties. But as the writer of The Baron. Branquinho da Fonseca said : “when stopped, a man is worthless”.